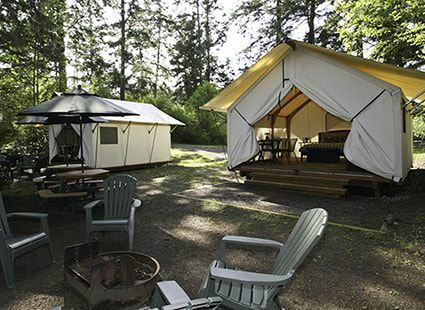 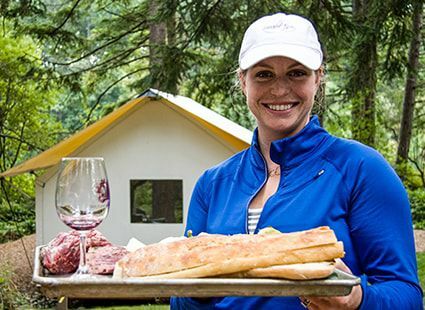 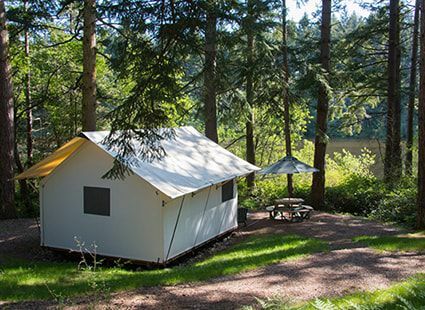 If you love being in the woods but pitching a tent is not for you, consider an upscale, unique camping experience in our custom-built canvas cabins and cottages. 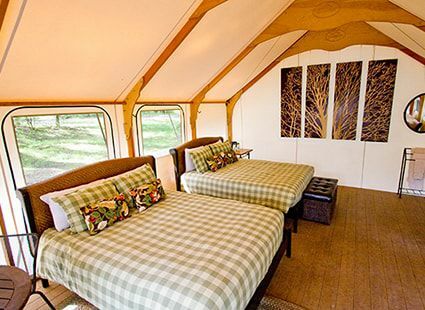 Each 225 sq. 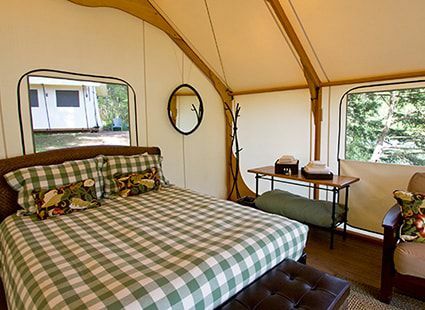 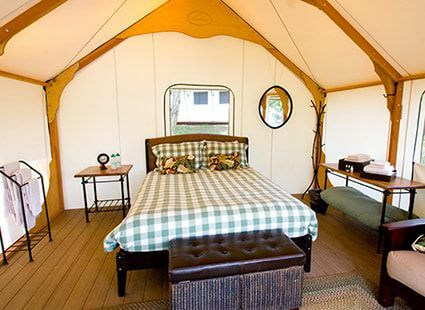 ft. Canvas Cabin features a queen-size bed with pillow-top bedding and flannel duvet, a table and four chairs, a cordless lantern, bath linens, as well as a full-size futon that sleeps two. 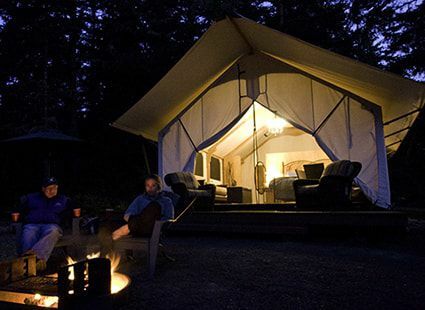 And our Toasty Toes turndown service is back this camping season! 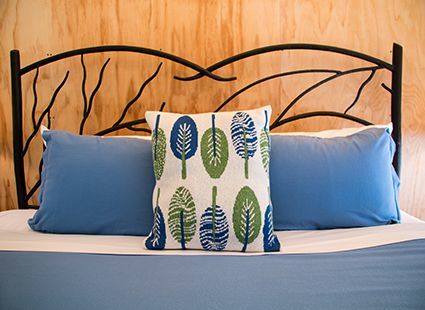 Every night we will deliver two fleece-covered hot water bottles to keep your tootsies warm. 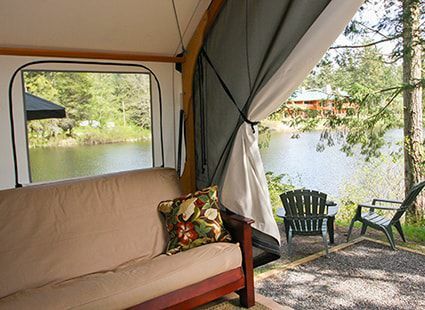 Our amazing Neva Lake and Dream Lake Canvas Cottages feature 350 sq. 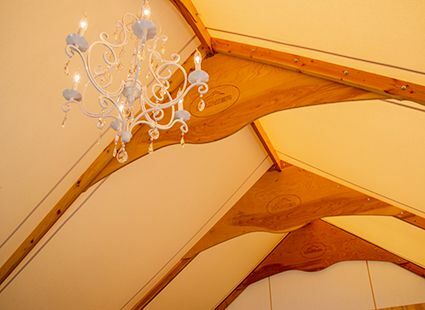 ft of over-the-top glamping luxury! 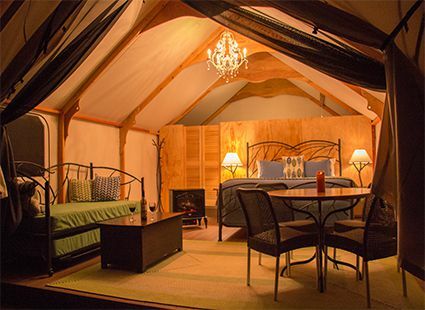 King-size pillow top beds with flannel duvet covers, your own bathroom complete with shower, daybed sleeper (extending to king-size) for your passel of kids or friends, a chandelier, a table with four chairs as well as Toasty Toes and more! 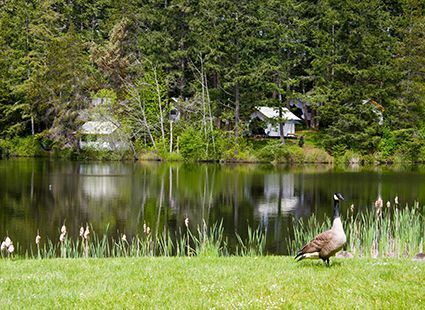 All Cottages are located on beautiful lakefront sites. 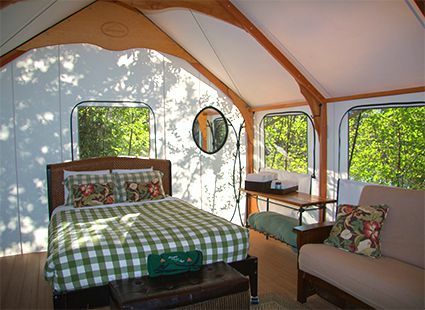 Lakedale’s glampground is open from May through the end of September and features 23 glampsites. 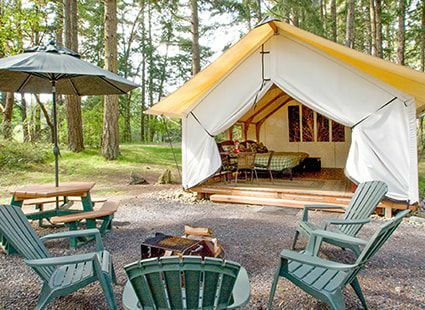 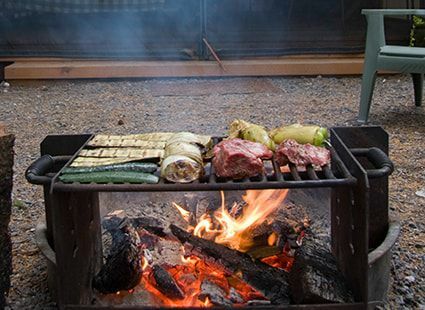 Relax on the “front porch” with four chairs, a picnic table, umbrella and a fire ring perfect for grilling and toasting marshmallows. 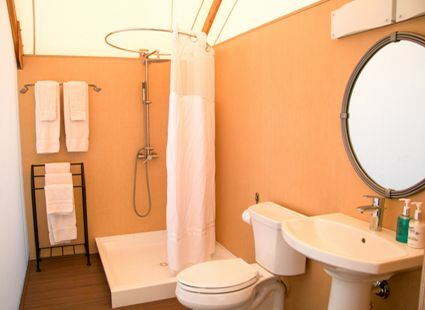 There is no electricity or running water in the Canvas Cabins, however, it’s just a short walk to the shower facilities*. 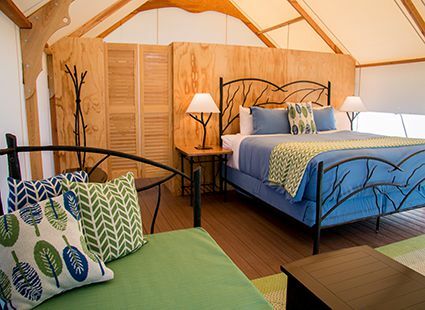 Our Canvas Cottages have electricity and running water. 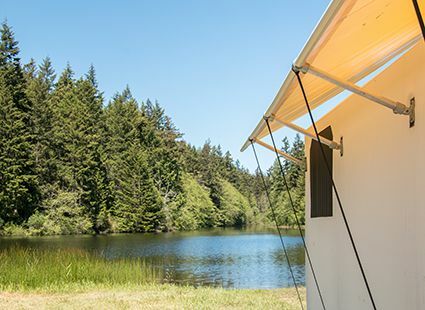 Lakedale’s Duplex Canvas Cabin is ideal for two families vacationing together offering two side by side Canvas Cabins for easy socializing with your own separate living spaces. 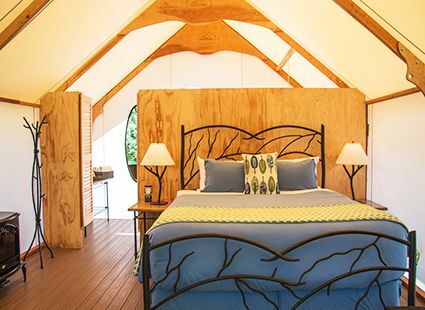 Our Canvas Bunkhouse is a 450-square-foot canvas cabin with two queen beds and a full-size futon that sleeps two – perfect for groups up to six. 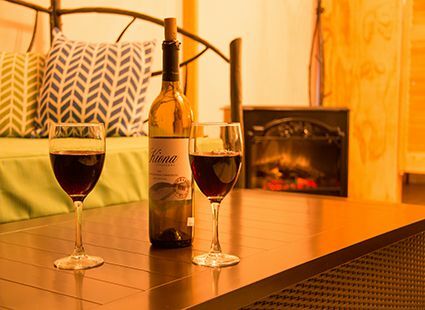 PLEASE NOTE – we only have one Duplex and one Bunkhouse so avoid the rush or lack of availability for your preferred dates and reserve these popular accommodations soon! 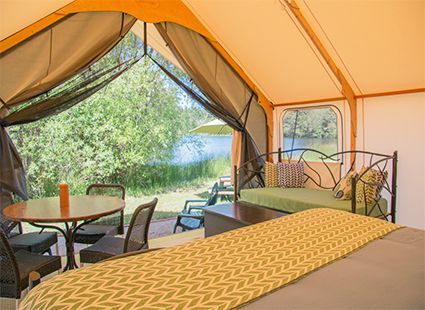 Canvas Cabin and Cottage guests are invited to join us for a complimentary continental breakfast in our new Neva Lake Mess Tent. 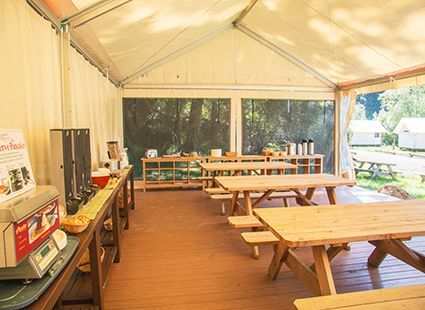 Selections include granola, cereal, pancakes, fresh fruit, bagels, muffins, hearty oatmeal, hard boiled eggs, juice, freshly brewed coffee, hot chocolate and teas. 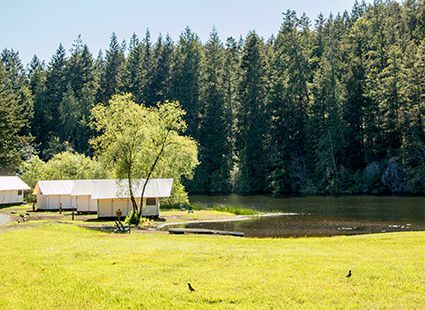 There are no pets allowed in the Canvas Cabins and Canvas Cottages, but we welcome you and your furry friends in our Log Cabins and Lake House! 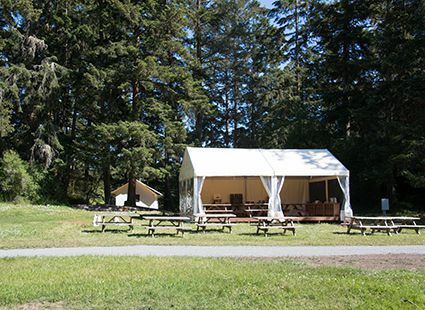 *Showers and restrooms are available to guests.